If you are an experienced camper you will agree with us that having a reliable tent is probably one of the most important things to bring with you before heading off on your backpacking adventure. Easier said than done, how can you be sure you will choose the best backpacking tent for you? When in nature, you definitely want to relax instead of worrying whether your tent would fold up or get blown away by the wind. Choosing a reliable tent can be really exhausting, but it will make your camping experience way better when you don’t have to worry whether your sleeping area will be safe from the elements or not. To help you successfully complete the mission of choosing a great tent, we’ve gone over some features that are considered fundamental when it comes to tents. Then you can see the products we carefully chose, for which we believe are some really fine pieces of gear and worthy of purchase. As beginners in backpacking, you may have been wondering how to find the right product, trying to figure out what to look for in a good tent. Thus we’ve listed the features you should look at during your next shopping trip. The first thing you should decide is how big you want your tent to be. 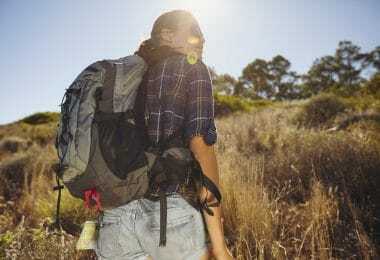 That depends on several things – are you planning to hike with a group, with your partner or alone? 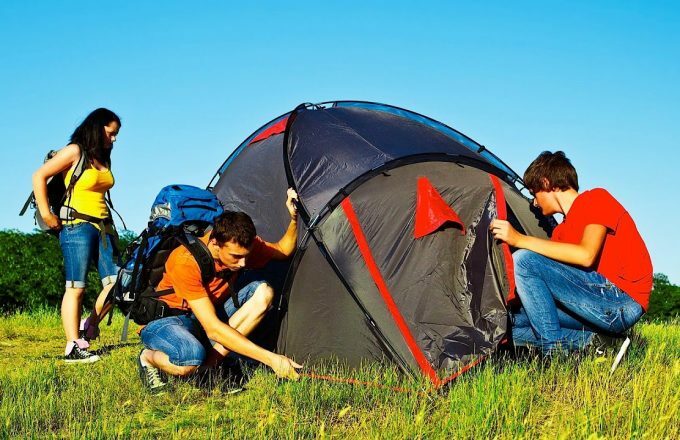 Choose the size of the tent according to the number of people you’re bringing along in the trip and according to your personal desires of space. Most tents available on the market have either one or two doors. 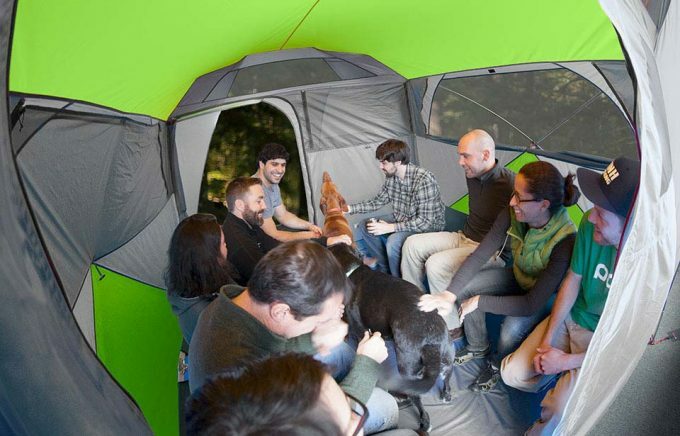 If you’re by yourself, one door would be fine; but you may want to get the 2 door tent for some extra elbow space. If you’re on the bigger side or you plan to travel with your family, you may want to get a larger tent for better comfort. Also, don’t forget to keep in mind the amount of gear you’ll be bringing with you – you’ll need to place that somewhere as well! However, remember that there’s always a tradeoff with regards to extra space, as this would most likely increase the weight of the tent. It’s up to you to decide whether that’s worth it for you or not. The weight is the second important feature to pay attention to – you do have to haul the tent on your back during the trip, right? 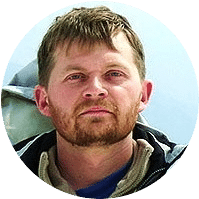 When looking into the weight, taking into consideration how much load you carry on your back and how far would you need to walk towards your intended base camp. If you’re traveling alone, or with a friend, keep the weight to a minimum. Lightweight bags make hiking more fun since you don’t feel tired because of a backache. However, if you want to get a lighter tent, you might have to compromise on other things. For instance, lighter tents are most often suitable for the warmer months – you’ll want to get something sturdier for the winter. On top of that, lighter tents are usually smaller as well, so if space is a concern for you, be careful if buying a light tent. The main goal of a tent is to provide you with a shelter during your time in nature. 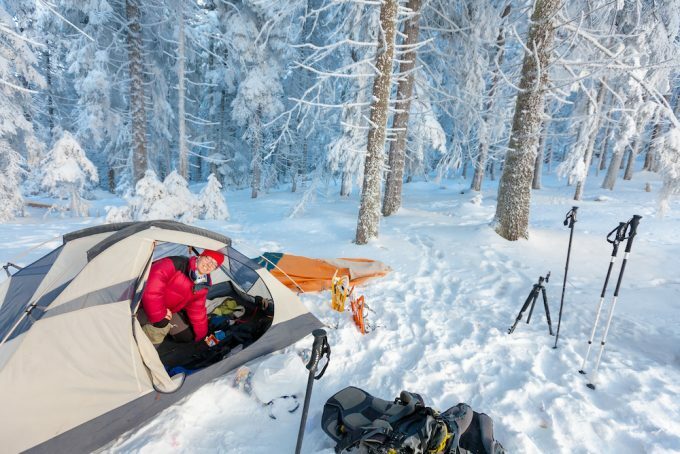 Always go for backpacking tent that can provide protection against changing weather elements. This factor is usually related to the season rating, so if you’re going for a summer camping, you don’t necessarily need the 4 season tents. Get the tent with good materials that provide UV protection, withstand winds and moderate rain. However, keep in mind that not all tents can be used for all types of weather conditions. There are two major types: the four-season tents and the three-season tents. The four-season tent is designed for snow loads, heavy winds, and heavy terrains and is pretty suitable for most weather conditions. 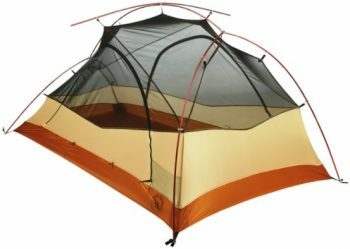 On the other side, the three-season tent is light, with good ventilation, and a popular choice for summer hiking trips. Since you’ll be the one who will be setting up the tent, you’ll want to pick tents that allow the user a quick and easy setup. There are a few things you should pay attention to as far as the setup is concerned. There are either pegged or free standing tents. Pegged types can be lighter, but harder and longer to set up. You can set up free standing tents faster, without pegs – but quite heavier. On top of that, there are the so-called double wall tents. 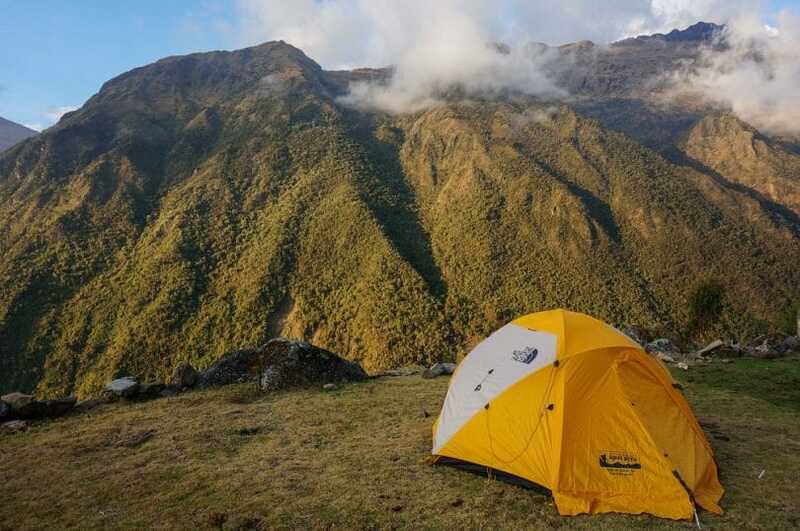 Double-wall tents basically come with two parts – the rainfly and the tent body which beginner campers may find confusing to set up at first. The advantage lies with the mesh inner-tent which provides a shield against condensation inside the rainfly. On the other side, the single-wall tents minimize the weight, promote airflow and should be easier to set up. If your objective is to hike light and fast, the single-wall would be worth it. For comfort, you would need a double-wall tent. Determining the budget you’ll be willing to invest in a tent might help you pick faster. You don’t need to spend too much for a good backpacking tent but sometimes, going forward and doing the investment is also worth it. 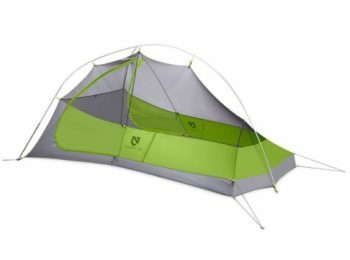 If you hike a lot, it makes sense to go for something pricier that will provide you with higher quality, since you’d be using the tent pretty often. On the other side, if you just do the occasional weekend trip here and there, go for something in the mid-price range that would serve its purpose just as well. Also, note that the cost is directly related to the spaciousness and the size of the tent. Bigger and sturdier tents are usually more expensive but you’re bound to be more comfortable in them. Hopefully, you’ve gotten a clear picture of your needs and wants by now. 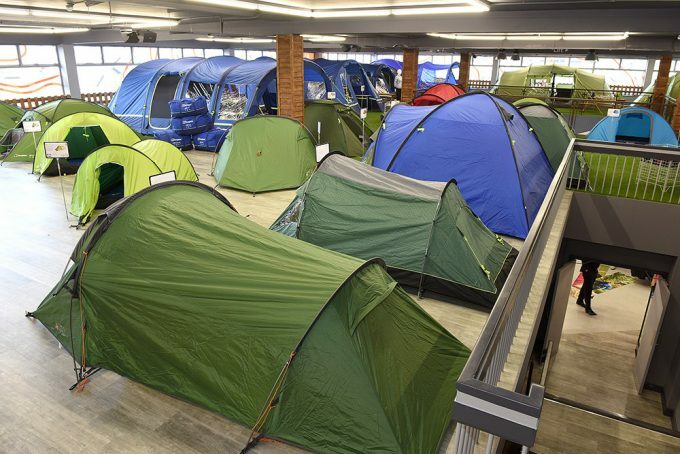 Now let’s see reviews of the top tier camping tents available on the market! 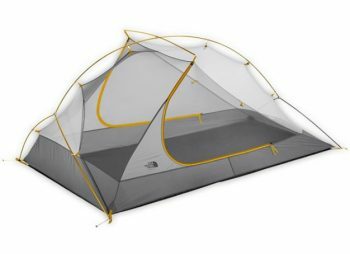 Specific features: Unisex adult, 15-denier nylon mesh fabric, dome type, 20-denier ripstop nylon fabric, two doors, aluminum pole material, two person occupancy, one size, includes gear-loft, rain fly & vestibule. 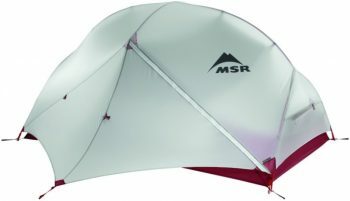 Description: If you’re looking for an ultralight backpacking item in your hiking trip, then MSR Hubba Hubba NX Tent is the thing for you! The tent also gives you a spacious head room for overall comfort and it includes two huge doors on the sides. The two vestibules allow storage for hiking gears of two campers. There’s also a large dual stay dry doors that come along with rain gutters. The rain fly can be rolled up and is adjustable, allowing you to enjoy the view of starry nights. A notable feature is the pole and hub system, which was designed with color-coded clips for a faster and easier set-up. The vestibules are significantly wide, so you can pitch the tent to dry by placing the rain fly up first. You can then position the tent below the rain fly, with the clips to erect the frame. When taking it down, you just work in the same order. For efficient packing, it includes a compression stuff sack, with the pull handle, use strap the poles separately into your pack. Some people prefer staking the corners, though this is not necessary, as this tent is a freestanding tent. Some of the other features to consider are the non-tapered symmetrical floor, simple D-shaped entrance, adjustable stake-out loops, and neutral colors. 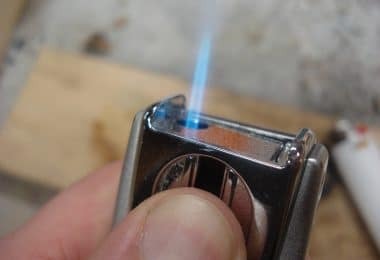 Related: Make sure you’re not leaving the house without your X-Plore Gear Firestarter – it’s a multifunctional survival tool that every backpacker should have! The fire starter should provide you with thousands of sparks under any conditions. 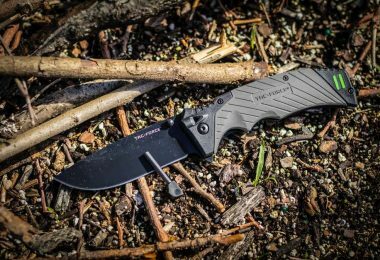 Alongside the magnesium fire starter, you’d also get a compass and an emergency whistle – everything you might need in an emergency! 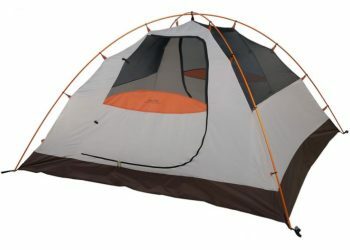 Description: The Big Agnes Copper Spur Tent features the DAC Featherlite NFL pole system that comes along with the easy fit connectors and the eco-friendly lightweight hubs. The clip allows you to simply press and attach the cross pole into the tent body without much fuss. For the floor, the ultralight silicone is coated with 1200 mm waterproof polyurethane, so you should be able to use it even in wet conditions. If you’re looking for better ventilation, the polyester mesh and lightweight nylon should provide you with that, as they are considered to be more breathable material. The tent has two doors, with two vestibules made up of the storm flaps and single stakeouts over zippers. Opt for this ultralight tent especially if you don’t like the issues of condensation when you close up the fly. The tent even has double media pockets as well as the four interior mesh pockets, with reflective webbing at the corners for visibility at night time. A small issue might arise with the pulled netting after an extended period of use. But all in all, this is a decent three-season tent – ideal for your regular weekend camping and short backpacking trips. Related: If you’re looking for ways to make your nights in nature more comfortable, then check out the Therm-a-Rest Sleeping Pad – it’s a three-season air mattress, ideal for any backpacking or camping trip! In case you’re worried about cold winter nights, then do know that the sleeping pad traps the heat radiating from your body, thus giving you enough warmth for the night. 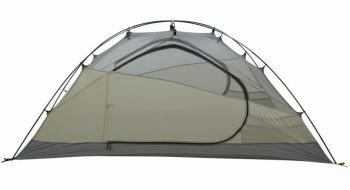 Specific features: Three season, lightweight, 9 mm strong light aluminum poles, mesh door, lock Tip ball ends, single vestibule, one door, front tunnel entrance, spacious interior, weather resistant despite the weight, top-quality materials, easy pitch from the outside, removable inner tent, guylines spectra with cam adjusters, reflective points. Description: Featuring a lightweight design for summer hikers and dry campers, the Hilleberg Anjan Tent is perfect for those who camp in warm and snow-free terrains. If you’re a beginner camper, this tent is a good place to start. It is a 3 season backpacking tent that is equally great for those who travel alone or bring along a mate. The brand seems to have prioritized the lightness of the gear, making sure to keep it at its minimal weight. It has the Kerlon 1000 outer fabric, with the 9 mm poles, providing a durable and light tent that can withstand variable conditions of winds. For a nice airflow, the mesh area does not have the fabric back panels, while the outer tent walls do not overextend into the ground. Compared to other tents, you can pitch the fly and inner as one, which means you can set up the tent even if it is raining, without the inner getting soaked. However, the tent seems to slope down at the foot, with the sleeping bag likely to touch the inner. Also, the lightweight design may have some issues on continuous moderate rains, so you may want to properly pitch the tent to prevent moisture from entering. Otherwise, it is a good tent for first-time summer hikers. Related: The Snow Peak Titanium Spork is a must-have for any backpacking enthusiast – it’s a spoon, fork, and even a knife, all in one product! The claws at the top allow you to use the spork as a fork, while at the same time, giving you the ability to scoop food out. On top of that, you could even cut some soft foods by using the sides of the spork. Description: The Alps Mountaineering Lynx Tent is a fully featured backpacking gear, which is considered to be one of the favorites by mountaineers. This polyester taffeta tent is a free standing type, with the 7000 Series Aluminum, 2 poles system, and the easily snapped pole clips. It has the UV resistant polyester fly and the factory sealed floor/fly seams that allow for better protection in hot and moderately raining weather conditions. Some of the notable features include the huge zipper doors, double vestibules gear storage, and adjustable weatherproof fly buckles. The half meshed walls and two doors bring in better ventilation. So far, trials for the tent in variable weather conditions with 40 mph winds and heavy rains keep the inner dry. The overall setup can take around 7 to 8 minutes, using Alps simple pole clips. Fitting two adults inside with standard gears would be fine, though solo backpackers looking for more elbow room would definitely like the extra space. A significant drawback for some people is the weight, which can reach 6.5 pounds with the stakes and fly. However, it is generally an excellent buy, if you’re looking for breathable, no leak, and high-quality tent. Related: No matter the tent you decide to get, don’t forget to grab one of the ALPS Tent Floor Savers – it’s a sure way to prolong the life of your tent! Weighing only half a pound, it shouldn’t be much of a nuisance during your trip but will allow you to get much more comfort at nights. The floor savers come in a variety of sizes, so you could get one according to the size of your tent! 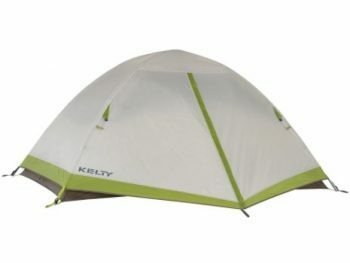 Description: The backpack-friendly Kelty Salida Tent comes with gear loft loops, compact folding poles, and color-coded fly and clip attachments. It features a single entrance, full seam taped structure, inner storage pockets, and mesh fabric walls – everything you might need from a basic tent! The tent is free standing tent and it features a huge clip that allows you to roll it up as a cube top carry bag. The floor area measures around 30 square feet with additional 10 sq. feet vestibule. However, note that the tent has only one door even though it has a capacity for two people. The entrance is on the side but that doesn’t mean that air flow should be a problem, as the tent has the standard mesh for good breathable space. As it is a freestanding dome you can set it up with the two aluminum poles, and later on, that same feature should allow you to store it more easily. The UV protected polyester fly and factory taped seams provide resistance against different weather situations. All in all, considering the price, this might be considered a good buying choice. Related: The Klymit Static V Sleeping Pad should be an excellent addition to any camping gear. You can pick from a variety of colors and designs though you can be rest assured that no matter which one you pick, you’d be able to inflate it and deflate it easily. The pad should provide you with more comfort and warmth during usage time. Floor area: 32 sq. ft. Description: Considered to be one of the top performing backpacking tents in the market, the Black Diamond Mesa Tent is a great product for both beginners and more experienced campers. The tent would work great for both shorter weekend trips and longer camping trips. The tent has two doors and 2000 mm nylon floor alongside 1500 mm polyester fly that work great together in keeping you dry. Some of the other nice features are the supportive pockets and the partially solid walls; you may appreciate the space in the tent if you’re on the taller side. The vestibule is double integrated and it should stay dew free and generally dry during light to moderate rains. As long as you pitch it appropriately, it should serve its purpose well. However, small drops of water may start dripping inside the fly if you don’t fully zip the doors – keep in mind to zip it all the way through. This tent is quite heavy at around 6 pounds, so if you’re limited with the weight, this may not be your thing. The set-up is quick and easy, thus making the tent appropriate for starting-out campers. Related: If you want to make the maximum of your tent, don’t forget to grab a Black Diamond Mesa Ground Cloth – a floor cloth designed specifically for Black Diamond tents. Not only that it should do wonders regarding the comfort you experienced, it’s also a great tool to expand the life of your tent. Description: The North Face Mica FL 2 Tent has two doors and two vestibules. Two people could comfortably sleep in the tent while at the same time not having to compromise on the weight – the tent is one of the lightest in its category! However, don’t let the light weight fool you – the tent has two fully functioning doors! Apart from allowing for better ventilation, the two doors should allow you for bigger flexibility on the inside of the tent. The floor area is not as big as in other tents which some may find troubling – regarding the price, comfort is expected. The tent should provide good air and ventilation, as the manufacturer seemed to have prioritized optimizing the breathability of the material – the airflow on the inside should be pretty decent. The fully sealed seams stop moisture from seeping in from the floor which usually enters from the ground. This may be seen as an overall good two-person tent, as it provides a good compromise on weight and tent functionality. Related: The MECO Hand Cranking Solar Rechargeable Flashlight should be a part of any backpacking gear. Except being solar powered, what is even more exciting about this product is that – in absence of any other power source, you can recharge it using only your hands. It features high conversion efficiency – cranking it for only 6 minutes gives an hour light. Description: The Nemo Hornet Ultralight Backpacking Tent might be a great option for both first-time campers and more experienced backpackers! Considering all of the equipment that comes with the tent, it should allow for a quick and seamless setup without much fuss. With two large doors, you’d be able to move inside and out of the tent without any trouble – even though it has only 28 square feet of floor area inside, it should still be comfortable enough to fit two people. If privacy concerns you, the tent also includes a built in privacy panel. Bearing in mind the materials from which the tent is made, the durability shouldn’t be a concern – if you’re looking to get a durable tent that will serve its purpose for many trips to come, go on and do the investment; it might just as well be worth it. However, one thing many won’t be thrilled about is the weight of it. Being almost 6 pounds, you’d expect a few more square feet of area inside. Related: Staying hydrated on the go is important – let the Nalgene Tritan Water Bottle help you in doing that! Coming in a variety of different colors and designs, the bottle itself is made from BPA-free plastic that’s also highly resistant to impact. The bottle can be used both for cold and warm beverages. We hope that you found our backpacking tents reviews useful. As you can see for yourself, even though there are a number of features to keep in mind, it basically comes down to fulfilling your needs the most. 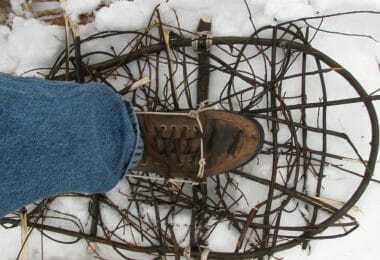 Begin by considering the season and the weather conditions, along with the number of people that should be accommodated. After you figure that out, check out the materials the tent’s been made of, how often you are going to be using it, and of course, your budget. However, if you think we’ve missed out on some super tents out there, feel free to share it with us in the comment section. We’d love to hear about your favorite backpacking tent that never failed you!